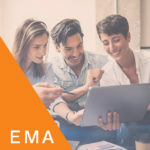 The Ethical Marketing and Advertising (EMA) programme provides the know-how and skills to spot and avoid ethics violations, critical to those looking to build consumer trust and brand loyalty. The EMA’s advanced-level curriculum is aimed at marketers, advertisers and other professionals working for regulators advocacy groups, advertising associations and academic institutions, including their business students. Divided into six lessons, the EMA was developed by experts from ICC’s Marketing and Advertising Commission, and the renowned international business school, INSEAD. The two-hour interactive e-course provides a comprehensive understanding of the principles at the heart of global advertising codes, which are applicable across all industries. What is the ICC Code? This e-course is available free of charge. Professionals wishing to solidify their commitment to the ICC Code and earn an ICC Academy Certificate are encouraged to take a final examination for a nominal fee of US$200.